We're having a long weekend over here. Five days of having the kiddo at home means not much scrapbooking for me, so no new layouts for now. I am working on a couple of things but will need to finish them off next week. First off, she had Friday off from school for a teacher's training day, then we had a bank holiday on Monday for the Mid-Autumn Festival and again on Tuesday for the National Day in lieu of Monday. It's also nice to have the hubby home with us after a whole month away, so we're taking advantage of this time before he has to go away on business again. It's also good to see him acting a little silly. A rare occurrence. 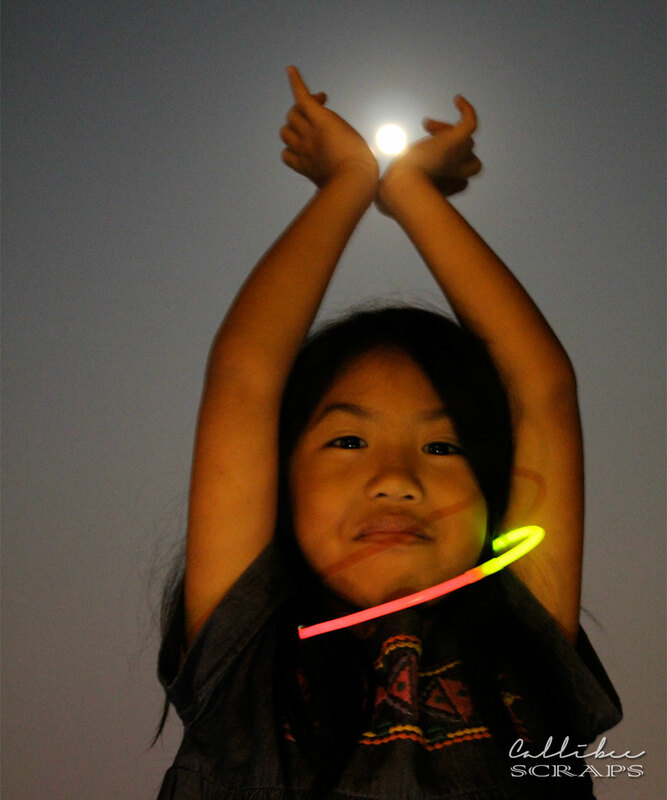 Miss C trying to catch the full moon. 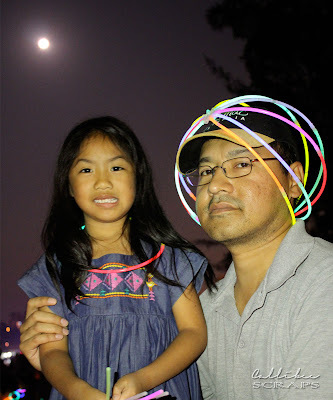 Daddy and Miss C during the Mid-Autumn festival celebrations. 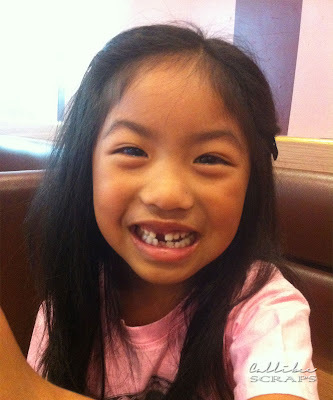 Today, Miss C lost her top front tooth. It had been wiggling for ages and it finally came off at lunch. Good thing she didn't swallow it. I must admit though, it's hard not cringe a bit when I look at her smile right now. It's going to take a little getting used to. We'll be taking closed lipped photos for a while. Hope that new tooth grows in quickly. Hope I'll have some scrapbooking projects to show you soon. I will also start doing a few tutorials on future projects. If you have any suggestions, let me know.